Diamond in the Rough with a VIEW in a desirable Hidden Mesa neighborhood! 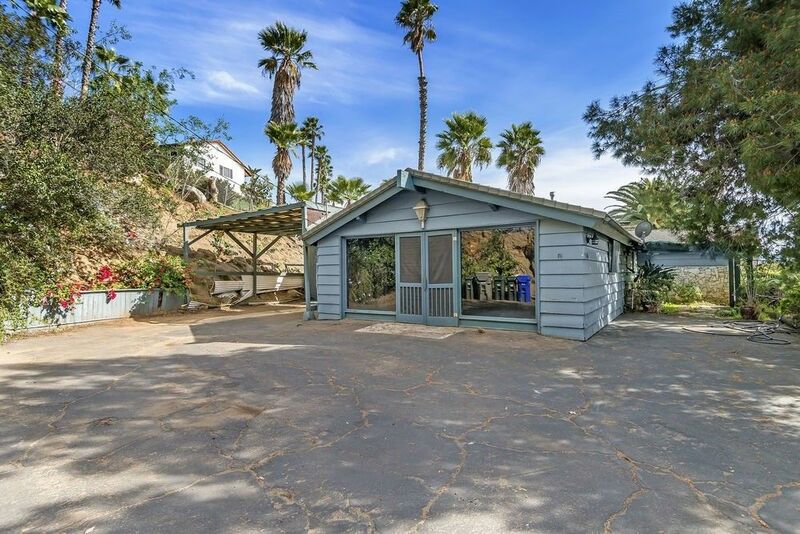 This mid-century modern home features 3 bedrooms plus an office/den, 2 baths, living room and family room, with just under 2000 square feet on .59 acre lot. Potential space for RV, toys, boat. Imagine enjoying barbecues on the expansive deck while watching the sunset. Easy commute, near shopping and public transportation. Directions To Property: Jamacha to Plantation Way, take the first left to end of cul-de-sac.